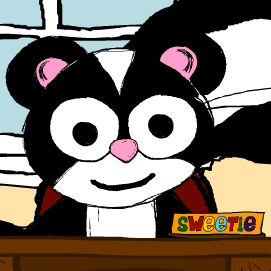 Sweetie | I Don't Stink! Currently viewing the tag: "Sweetie"
Hi fellow friends, Sweetie here. Here’s my very first blog post. For this one, I video taped it with my brand new Mikon camera. What do you think? I would love to hear if you like this.